We are thrilled to invite you to join us on this year’s Kinship Circle expedition, a journey into the heart of Spain’s revolutionary political and cultural landscape. Our eight-day voyage will take us from San Sebastián to Barcelona, where we will meet with and learn from key leaders of the major Spanish social movements, all while delving into the magnificent art, culture, and natural beauty of the region. The adventure spans from June 22nd through July 1st, 2016, though you are certainly welcome to extend your stay. Spots are filling up fast, so please register soon or get in touch for further information! We have to announce the cancellation of the 2016 Bioneers Conference in the Basque Country. Our partnership with the Basque Government, our host and primary underwriter, was brokered at a time of political upheaval in Spain. After recent elections, the present Basque Government’s ability to host and fund the event became less-than-secure and it became necessary to pull the plug. Nevertheless, we’re pleased to still be working with other partners in Spain who have helped us develop this spectacular Kinship journey. Spain is at the forefront of fascinating developments in progressive politics. The anti-austerity protests that began in May 2011 in Puerta del Sol Square in Madrid and spread throughout the Iberian Peninsula inspired the Occupy Movement in the US. Subsequent developments, including the emergence of the Podemos party and other leftist coalitions, make the current Spanish scene perhaps the most dynamic locus of progressive political ferment on the planet. It’s particularly worthwhile for U.S. progressives to study because (the Bernie Sanders campaign not withstanding) the Spanish left has been far more adept at organizing itself to mobilize effective coalitions to compete for real political power. Spain is also obviously steeped in history, food and culture, which we will be engaging with. Our time together will combine old and new, social movements and ancient heritage, local innovations and continental ambitions. Three days in the beautiful Basque Country, a hotbed of progressive political activism, artistic creativity and legendary gastronomy. We begin in San Sebastian, welcomed by revelry at the Noche de San Juan, a very early (centuries) precursor to Burning Man, this celebration is an annual festival that concludes with the seaside burning of a large wooden sculpture. We will meet with political leaders and movement activist and take a deep dive into the legendary Mondragon Cooperative, the world’s largest with 75,000 employees. Mondragon represents a third way: an ethical, worker-owned, trans-generational enterprise competing successfully on a global scale. Two days in the Spanish Countryside. We will take two days to leisurely travel the six hours across the Spanish countryside from Basque Country on the Atlantic coast to Barcelona on the Mediterranean. Along the way we will visit leading edge sustainable vineyards and the legendary Neolithic Cave Paintings in Aragon. Four days in Barcelona, a cultural center renowned globally for its vibrant street life and beautiful architecture. Again, we’ll be provided an intimate look into the state of the Spanish social movements headquartered there, with personal meetings with leading figures in the nation’s cultural and political scene, including the current Mayor of Barcelona. We’ll take a deep dive into Gaudi and green design, visit the legendary Boqueria market and have additional cultural engagements. In addition to the Bioneers leadership team, we’ll be joined by Professor Manuel Pastor from USC, a brilliant analyst on the economic, environmental and social conditions facing low-income urban communities and the social movements seeking to change those realities. The “Next Generation of Mondragon” — a younger set of leaders who are working to transform the business model of the legendary Mondragon Cooperatives into a truly green enterprise. Globally competitive and cooperatively owned, Mondragon has long been a model for how equitable business can be scaled up. We’ve been personally invited by these revolutionary youth leaders to experience their transformative work firsthand. The brilliant minds behind “The Art of Collaboration” gathering in San Sebastián, a special event hosted by the Global Eco-Village Network. The Bioneers leadership team will be speaking at the event, and we’ll accompany them for special networking events with conference speakers, participants and organizers. Juan Lopez de Uralde, the former president of Greenpeace Spain, now turned politician. As of December, Mr. Lopez de Uralde’s Podemos party received a majority in the Basque Country elections. Ada Colau, the current Mayor of Barcelona. The former leader of the Anti-Eviction Movement, she has been Mayor of Barcelona since May 2015, voted into office on an anti-austerity, equity and social justice platform. Carlos Fresneda, a journalist, green activist and correspondent in the US (now in London) of the newspaper El Mundo. Gijsbert Huilink, Founder of Som Energia, the first renewable energy cooperative in Catalonia. And much more – see the comprehensive itinerary below. The price of the trip is $7500 and that is all-inclusive (within reason) from our starting point in San Sebastián to the close of the trip in Barcelona. Airfare and ground transport to and from these cities is not included. Below is a link where you can register and make payment. If you prefer to call with a credit card, please contact Maria Rotunda at 505-395-2801 or maria@bioneers.org. Our Kinship Circle consists of our most supportive of supporters. 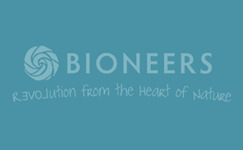 They help provide the financial oxygen that keeps the fire of Bioneers burning bright. Yet this circle brings much more than financial mojo. It is a community of highly accomplished people who offer deep expertise, wisdom and diverse points of engagement and working partnerships in our shared work. In fact, we started the Kinship Circle after we realized what an authentically amazing donor circle Bioneers has, how few of you know each other, and how much everyone would benefit from getting connected. The Kinship Circle consists of Bioneers donors who give $25,000 or more annually. If your current giving is less or you are new to Bioneers, you are welcome to come if you are committed to considering making a gift at that level. Our first Kinship gathering in the spring of 2014 took place in Hana, Maui, a deeply Indigenous community with ancient roots, brilliant contemporary vision and ongoing struggles. Next year’s adventure brought us to British Columbia for an exploration of Canada’s thriving environmental movement. The expeditions were hugely successful, bringing together a circle of friends for truly transformative learning-in-action and creating a collaborative network we believe will last a lifetime. Third time’s the charm, as they say, so here’s to an adventure that pushes the boundaries of kinship and creativity, broadening the Bioneers family beyond borders for true global partnership! Several of you have already signed on, and it’s shaping up to be a spectacular group of people. We hope you will join us! Arrival in San Sebastián from US (via connecting flight from Madrid). We’ll travel the short distance to Mondragon for a special day to learn about the legendary Mondragon Cooperatives. Globally competitive and cooperatively owned, Mondragon has long been a model for how equitable business can be scaled up. We’re particularly excited to be invited by the “Next Generation of Mondragon”, a younger set of leaders who are working to transform the business model into a truly green enterprise. Early precursor to Burning Man, Noche de San Juan is an annual festival in San Sebastián that concludes with the seaside burning of a large wooden sculpture. This even also coincides with the opening of “The Art of Collaboration” week in San Sebastián. Participate in The Art of Collaboration, a special gathering hosted by the Global Eco-Village Network. The Bioneers leadership team will be speaking at the event and we’ll accompany them for special networking events with conference speakers, participants and organizers. Juan Lopez de Uralde, former president of Greenpeace Spain turned politician. As of December, Mr. Lopez de Uralde’s Podemos party received a majority in the Basque Country elections. We will take two days to leisurely travel the six hours across the Spanish countryside from Basque Country on the Atlantic coast to Barcelona on the Mediterranean. Along the way we will visit leading edge sustainable vineyards and stay for the night in a local hotel. On the way to Barcelona the following day, we will stop for lunch near the legendary Neolithic Cave Paintings in Aragon. Arrive in Barcelona in the afternoon and settle into the hotel. Gaudi, Nature & Green Architecture. We will visit several Gaudi Buildings and Parks, guided by Claudia Marie Vargas, author of the book “Gaudi and Nature”. Mercat de la Boqueria. We will enjoy a sustainability oriented tour of Barcelona’s legendary open produce and meat market. Ada Colau is the current Mayor of Barcelona, representing “Barcelona en Comú”, a coalition of eco-social movements. The former leader of the Anti-Eviction Movement, she has been Mayor of Barcelona since May 2015, voted into office on an anti-austerity, equity and social justice platform. David Fernandez, a former representative of CUP, the radical left-wing Catalan Independence party, now working with COOP57, a very successful social banking cooperative. Ignasi Fontanals, member of the Barcelona Resilience Group and Opticits and representative of the Barcelona 100 Resilient Cities efforts. Torres Wines and Vineyard, one of the most sustainable vineyard in all of Spain. La Fagenda, a cooperative for the integration of mentally disabled people, and a successful sustainable yogurt and cheese producer, located 1.5 hours north from Barcelona in the Natural Park of the Vulcanos. Kinship Trip concludes and participants depart for home or further European travel. Questions? Please contact Maria Rotunda at 505-395-2801 or maria@bioneers.org.